With the Apple iPhone currently king of all it surveys, there's a fascinating scrap going on further down the table of smartphones. 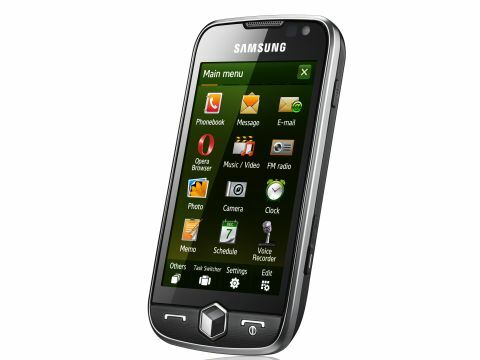 Some, such as BlackBerry, are sanguine, largely allowing their QWERTY-based offerings to carry on as normal, but the Samsung Omnia 2 is a completely different beast. Apparently convinced that the touchscreen is the way of the future, the Omnia 2 carries on where the year-old original Omnia leaves off. The screen has grown by half an inch, to 3.7-inches, and the old Omnia's TFT technology has been ditched in favour of brighter, more power-efficient OLED tech. That means, in theory, the screen should be easier to read, and the battery should last longer. Samsung's specs sheet claims an extra two hours talk time versus the Omnia when connected to a 3G network, and an extra 90 minutes on a 2G network. Some of the Omnia's specifications remain the same, but that's not to say they're lagging behind. The camera is still a respectable five megapixel unit with a dual LED flash and adjustable focus, and the Omnia II comes with all the mod cons. An FM radio, a full web browser and – hooray! – a 3.5mm headphone jack on the top rather than a proprietary connector all make this a phone which, on paper at least, is as good when it comes to entertaining as it is at working. And, unlike the original Omnia, the Omnia 2 comes with Windows Mobile 6.5, which despite its flaws is an undeniable step forward from older versions of Microsoft's mobile OS. That means you get compatibility with Microsoft Exchange, and a powerful mobile version of Microsoft Office, all tied together in a phone which can connect virtually anywhere – HSDPA, HSUPA, plus EDGE and quad-band GSM and Wi-Fi could make the Omnia a perfect choice for iPhone-avoiding, always-connected types everywhere.